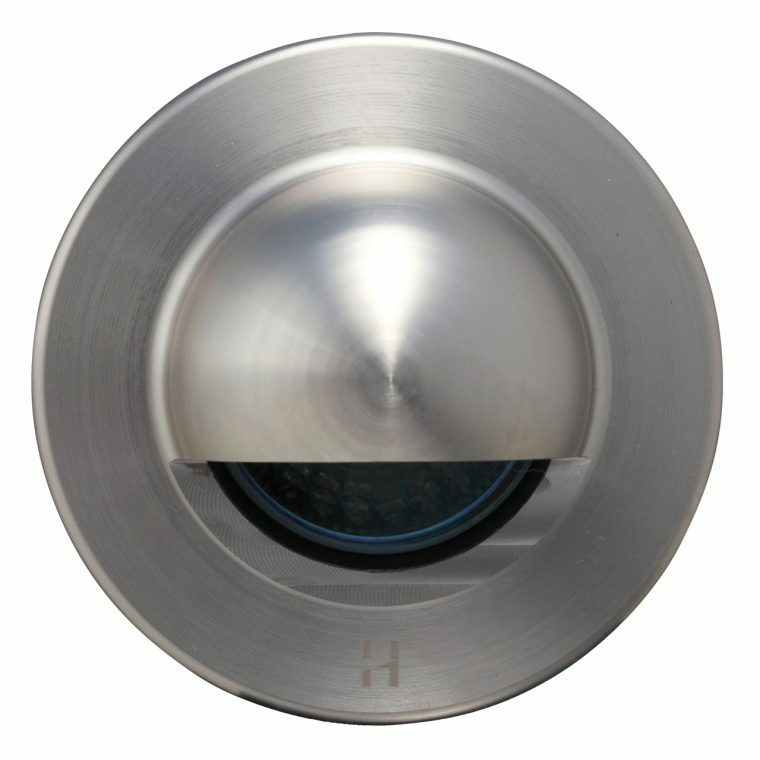 The Step Lite Solid Eyelid flange has a smooth machined finish without mounting holes to disrupt the elegant line of the luminaire and is designed to fit into a mounting canister. Step lighting is an important part of any exterior lighting project for both safety and aesthetic purposes. The eyelid masks two thirds of the lamp face, eliminating any upward glare. The body is machined from 63.5 x 10mm and the flange from a solid block of aluminium 88mm x 88mm aluminium with a UV stable powder coated finish (standard colours bronze, green, matt black, silver and white), or solid copper, or 316 stainless steel, clear tempered glass lens and high temperature silicon gaskets.